In his TED Talk classic from September 2009, titled How Great Leaders Inspire Action, Simon Sinek models what might be the textbook speech. In Speech Blueprint, Paul Gustavson breaks down the ten essential elements for presenting an idea that inspires action based on Simon’s model. He shows how it is a powerful mechanism that anyone can use. People like Martin Luther King, Jr.; Steve Jobs; and the Wright Brothers might have little in common, but they all started with why. Their natural ability to start with why enabled them to inspire those around them and to achieve remarkable things. In studying the leaders who've had the greatest influence in the world, Simon Sinek discovered that they all think, act, and communicate in the exact same way - and it's the complete opposite of what everyone else does. Sinek calls this powerful idea The Golden Circle, and it provides a framework upon which organizations can be built, movements can be led, and people can be inspired. And it all starts with why. Any organization can explain what it does; some can explain how they do it; but very few can clearly articulate why. Why is not money or profit - those are always results. Why does your organization exist? Why does it do the things it does? Why do customers really buy from one company or another? Why are people loyal to some leaders but not others? Starting with why works in big business and small business, in the nonprofit world and in politics. Those who start with why never manipulate, they inspire. And people follow them not because they have to; they follow because they want to. Drawing on a wide range of real-life stories, Sinek weaves together a clear vision of what it truly takes to lead and inspire. This book is for anyone who wants to inspire others or who wants to find someone to inspire them. Wish I could count the word "Apple"
Great first few chapters where Simon made his point. It was not needed to continue with the same example which most are already familiar with. It became like a Barbie girl song remix. I truely struggle to finish the book. I am a big fan of Simon Sinek. Did expect much more from this book. The whole big is all repetition of the fact you must begin with the why. I totally agree but don't need to hear it over and over again. He doesn't give any tools. This book and Simen Sinek himself is so inspiring, I feel like a born again Christian after listening to it. The things most of us ignores seems so obvious, but it is exceptionally hard to actually make the change. My only qualm is that while all the stories and examples are inspiring, they generally apply to huge, industry-changing companies, whilst I'm convinced it also applies to smaller companies - it is however rather difficult to clearly extrapolate how to move forward and change my own company - but I guess that is MY journey now, to be able to find the true why for myself and my companies. No matter what you do for a living, employee or business-owner this book is inspiring and I strongly recommend you read it. It has a good message but the author repeats the same things over and over many many times. This audiobook could be between 2 and 3 hours shorter. Illustrates great ideas and is very thought provoking . However, the book gets repetitive around two thirds in. 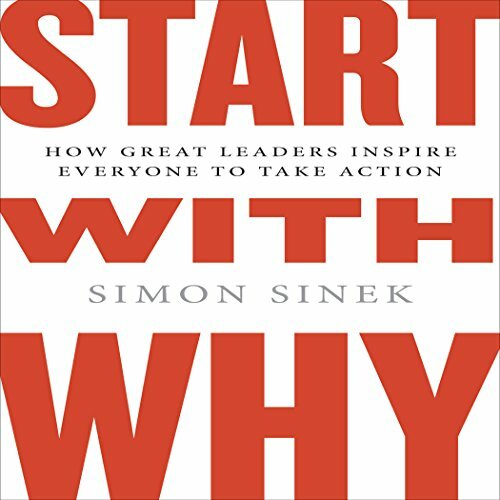 What did you like best about Start with Why? What did you like least? 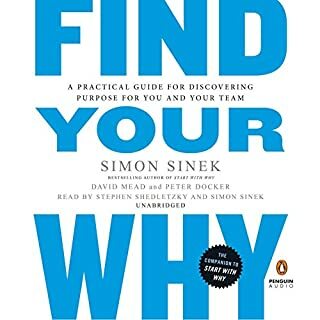 I liked the concept of start with why but the book seems to be too long and dabbling into various examples which were not so interested. Also, narration was very plain and at times not really bringing out the key messages author wanted to convey. More valuable than I expected! Truth be told, these sentiments resonated with me and our organization more than we ever thought possible. Truly valuable thoughts.... points to ponder indeed. If you’ve watched the ted talk you have 90% of the message contained in the book. I don’t personally enjoy Simon’s narration. He is clear and easy to understand, but frequently over emphasises the point in a tone that resembles a gypsy selling moon stones to heal cancer. Beelieeeeve meeee they reaaaally work”.... Just a bit too much for me personally. Other than that he has a good point and many would benefit from listening to this book. Having seen the Ted talk I was intrigued to learn more about Simon Sinek's ideas and to understand how to convert them into my own "why". Turns out there was nothing more than to it and I could have stopped at 10 minutes rather than spending 10 hours listening to the book. Nothing is offered in the way of practical advice; in fact the section on "how" people v "why" people effectively tells you to give up if you're not a natural "why". Hardly inspirational. The same examples are trotted out again and again with very little difference in the messages. In fact I struggled to understand what the difference was between most chapters. To top it all off he has an incredibly annoying delivery style. You can't really hold his accent against him but it is a quite bizarre mix of New York and Home Counties England, rounded off with an overly theatrical flair. If you could sum up Start with Why in three words, what would they be? What was one of the most memorable moments of Start with Why? The moment i realised that this simple concept can be applied to almost everything you do and say. How did i get to 30 and not realise / be told this. What does Simon Sinek bring to the story that you wouldn’t experience if you had only read the book? Take this concept and introduce it to your company / school / organisation, you will be classed a hero! Simon says in 6 hours what he could've said in 1 hour. I completely agree with his point but it sort of feels like he keeps repeating the same arguments and over using examples (specially Apple). it's also not too practical imo. The main idea behind Start with Why - that purpose is what drives individuals, rather than the What or How - is a profound idea. It's a real eye-opener for anyone looking at their business with a critical eye. 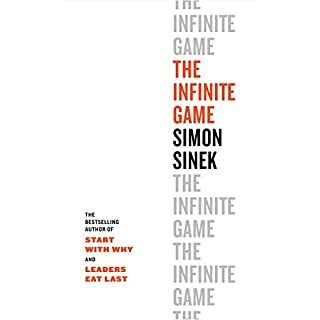 What could Simon Sinek have done to make this a more enjoyable book for you? Always nice to hear the author himself. Was Start with Why worth the listening time? Still, a good listen. Just listen to it at 1.5x and skip 30s whenever you feel like you're treading water. But so effective - an inspirational read packed with stuff I can and will apply today. Do yourself a favor watch Simon's 20 minute TED talk all the information is in there save yourself the pain of listening to 2 million why's in this audiobook. 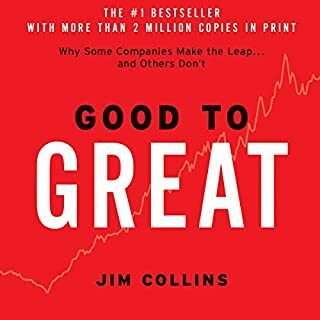 There are little nuggets of insight in this book that mean I may recommend it to a friend, however it is repetitive and is very similar to many other self-help/business/motivational gurus out there. The TEDX presentation is better. What three words best describe Simon Sinek’s voice? He is a reasonable narrator. No, I have struggled with it and unlikely to finish the book. There are motivational components to the book, but it doesn't bring a lot that is new to the self help/motivational/business field. So true and so difficult! Simon Sinek is so spot on with this brilliant work. It is the hardest thing to help people define...purpose. I love this book and will need to listen to it again to take on all of the wisdom that is contained within. Thanks For the inspiration! The golden circles cut the core of human flourishing. 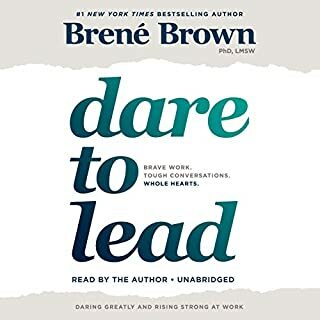 This book scales back to the essence of what we as people are about and encourages us to take it into the world and allow it to impact our work, our relationships, and our dreams. There are no easy fixes or quick success, there is only the why. 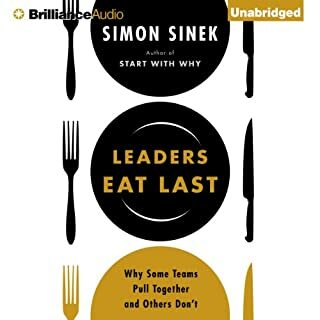 The first few chapters are great, but it is very repetitive after this and fails to deliver anything meaningful from the mid point I recommend Simon's other book Leaders eat last before this. Simon is a true visionary. What an amazing concept and book. Love that he narrates his own work. 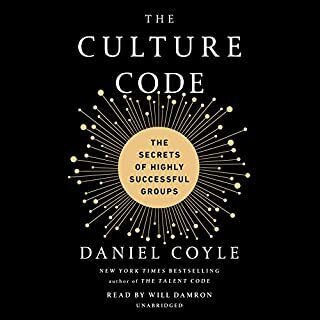 A great book, a great author and well read for an audiobook- the glitches and repeats were frustrating but otherwise satisfied.